Comments are your reader’s voice and just because your blog is getting too many spam does not mean you should turn off comments completely. 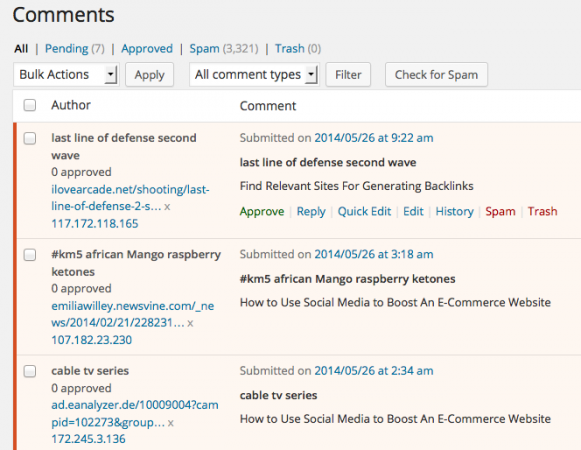 WordPress comment spam is ever increasing and IMTips was no exception. The spam was at a point where I had to give comments options lot of thoughts. I was used to seeing almost 3000+ comments spam every morning. Note: Normally I never publish IP addresses of user but than above screenshot is of spammer and it is ok to reveal their identity. 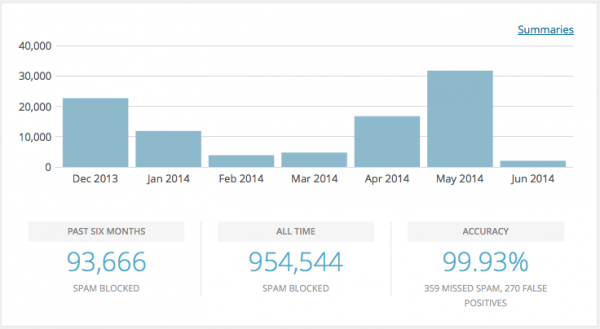 As I started to look for solution to the issue, I found that it is wise to opt to silently discard the worst and most pervasive spam option in Akismet and I was skeptical about using it but then I was left with no choice with the amount of spam. The reason for I was skeptical about using it was because I knew that Akismet at times flags genuine comments as spam also. 99.93% of accuracy of Akismet looks Awesomely good but then if I look at the numbers that matter more to me; I have 4500+ comments on IMTips all posts combined and 270 of them were flagged as spam wrongly by Akismet and it is handsomely large chunk of all the comments – roughly ~6%. So I cannot rely completely on Akismet to weed out spam for the blog comments. With 3k+ comments in my Spam queue every morning, I was not able to go through them and un-spam the genuine comments that I used to be doing earlier when comments spam was not at these levels. 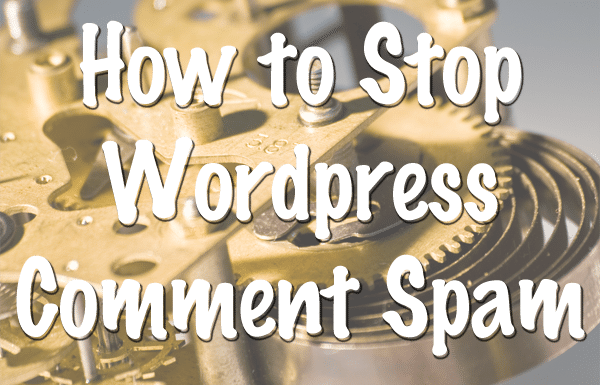 Akismet and WordPress comments are not working and one of the easier solutions is to stop allowing comments and it is one of the majorly accepted solutions by many of the well-established bloggers. To fight comments spam either disable comments completely or at least disable comments on older posts. CopyBlogger recently closed his blog for comments and Problogger don’t allow comments on older posts but I did not liked the idea of not allowing users to comments at all or even on after certain period of time. The reason I want to keep comments option ON is I always prefer that users interact with me in every possible option and ask me questions that they may have related to the article as and when they read it. It not only helps me better organize the interactions with users but also help me answer questions that they may have related to the article along with the log of all the questions and comments so other users can benefit easily from those comments. So if I disable the comments and if some user wants to know more about any topic, he will either look for further information on Google or may use my contact form (at least that is what I can think off). In first case I may just loose one of the readers of my blog and in second case I will have no idea about what all articles he has already read on my blog and then he may be asking those question and so I may just sound stupid asking him to read those articles on the same topic which he has gone through before putting his question to me. Time and again I have seen users not only use my article but also the comments and my replies to those comments to help themselves for clarifications and once they could not find the answer, they prefer commenting further. Since the inception IMTips is a very intelligent community and Thanks to everyone for being so intelligent and understanding. On top of that I am not a blogger who blog daily and I prefer keeping my posts weekly or biweekly but quality of content is that is evergreen and don’t become stale very easily and so not allowing comments on old articles was not an option that I was actively looking for. IMTips community is very interacting and if one of the methods of interaction fails, they always opt for other method of communication. I started getting emails where users reported that they are not able to comment on my blog and am being blocked out. The only reason I can think for such issues was Akismet silently discarding the most pervasive spam and blocking users out but than those most pervasive spams as per Akismet being genuine users trying to comment on my blog with questions. 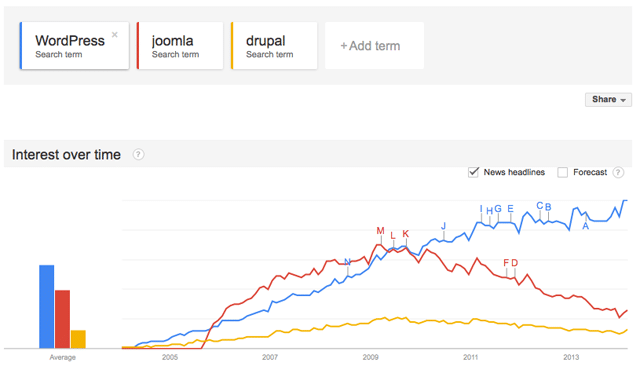 So it was high time to move on with WordPress’s inbuilt comments and Akismet. After reading Pat Flynn’s views and benefits of third party commenting options, I was sure it is the one of the better choice for my blog but still I just did not wanted to weed out all the other options unless I had solid reasons to do so. There were many reasons why I opted out of Facebook comments. Using Facebook comments means I don’t keep comments on my site and they move to Facebook and so if I opt out of Facebook comments at any give point of time in future means I may loose those valuable comments. Existing comments don’t move to Facebook either. When comments move to Facebook, your comments counter doesn’t work and so you cannot show how many comments each posts has. Facebook is just one platform but what if someone wants to comment using Google+ or twitter account? I wanted to provide readers as many options as possible to just login and comment. After reading 6 Reasons Why We Switched Away from Livefyre By WPBeginner, I was sure of not using livefyre but as I completed reading the article, saw that they are using Disqus – yet another reason for moving to Disqus. The next options for me to try were IntenseDebate and disqus. IntenseDebate was by Automattic the company founded by the founder of WordPress and Disqus being used by the bloggers I follow like Syed Balkhi of WPBeginner and Pat Flynn of SmartPassiveIncome. Luckily I opted to test Disqus before IntenseDebate and it had everything that I needed. Ability to use comment anonymously because some of my negative reviews are such that though readers want to be adding more to it, they want to keep their identity secret and so anybody should be able to comment anonymously on my blog. Option for one click signup using Facebook, Google+ or twitter and comment on the blog. Easily export my existing comments onto the new system as well as be able to move back to old system without loosing anything. Disqus just moved over my existing comments to their platform with just few clicks. All the future comments from disqus are being synched to WordPress as well. So if I remove disqus at any given point of time, I will not loose a single comment. Moderate comments as well as reply to them using my iPhone. I used WordPress App but disqus does not have any app but then the best part is you can do everything to the comments using an email only. You can approve, moderate comments as well as reply to them using an email only. So disqus not having an iPhone App, it is not something that I cannot live without as of now. Just using mail on my iPhone, I can manage my comments. As I tested disqus I realized that comments need not be in the order they are posted (Oldest or Newest first) and it can be rated as well. Other users can rate the comments and best-rated comments can be on top that increases the quality of comments that users read first. If you’re not an authority blogger and still trying to get your feet of the ground in the world of blogging, don’t copy Seth Godin or CopyBlogger and remove the Comments. They did not remove it until they were an authority bloggers’. I don’t think CopyBlogger or Seth Godin removed comments because they had issues with spam or anything else because those options can always be worked out. What I think is it was more to do with the amount of comments that they had on each article that they could not justify the user’s time to sending them those comments which they could not respond to. There are a limited number of comments an individual can respond to in a day and so they found themselves guilty of not able to respond to users and so instead of wasting users time on allowing comments they opted to put a full stop to it.